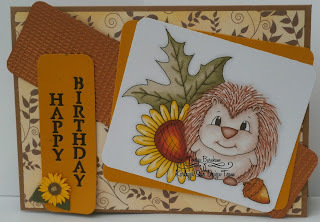 Here is a card made with Russel, from Karleigh Sue. I die cut the greeting with a Tatty Lace die. The bronze card is embossed on an A6 folder that was free with a magazine recently. 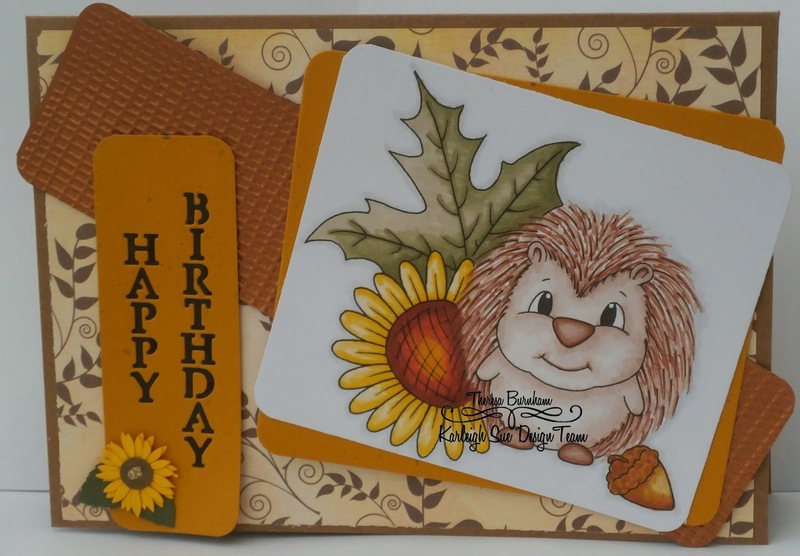 The card, paper and quilled sunflower are out of my stash. Super sweet card! Thanks for sharing and joining us at Inspiration Destination. Hope to see you again and good luck! So stinkin' cute...I love it. Thanks for sharing it with us at Inspiration Destination. Good luck.